George Richard Wagner, 91, passed away at 6:15 AM on Friday, October 19, 2018, at home. George was born on Wednesday, June 1, 1927, in Pedro, OH, to the late Fred & Garnet (White) Wagner. On Saturday, June 8, 1946, he married Audrey (Covey) Wagner, who survives in Elida, OH. George retired in 1989 as a commercial sales rep. from Ohio Power Company. 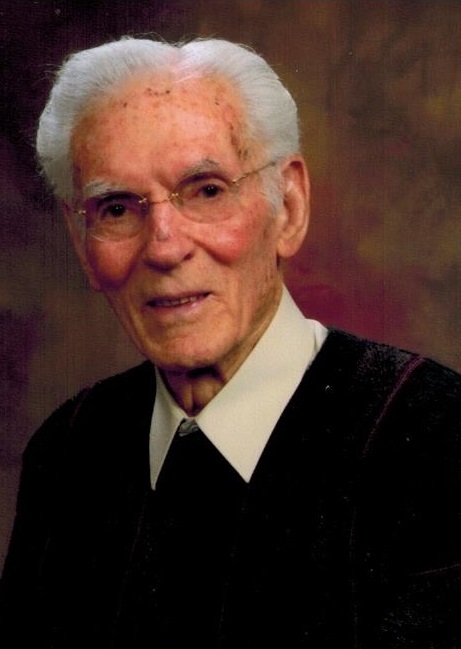 He was a veteran of the Merchant Marines and was a member of Rousculp Church of Christ. He enjoyed yard work, traveling, and automobiles, as well as his many grand children and great-grand children. He is survived by daughters Sue (Gary) Broshes and Deb (Thomas) Nolte of Elida, Grandchildren, Scott (Cara) Nolte of Morrow, OH, Trisha (Jon) Laux of Elida, Jennifer (Nicholas IX) Atamanick of Waterville, Ohio, Zachariah (Christy) Broshes of Lima, Maranda (Chad) Schwartzengraber of Marysville, Ohio, Great-Grandchildren, Audrey, Landon Nolte, Olivia, Owen, Alaina, Emma Laux, Autumn, Nicholas X, Nathan Atamanick, Connor, Sophia Broshes, McKenna, Brooklyn Schwartzengraber, brother, Paul Wagner of Portsmouth, Ohio , sister-in-law, Eleanor Wagner of Annapolis, MD, and several nieces and nephews. He was preceded in death by his parents as well as a son, Stephen Richard Wagner, brother, Fred Wagner, Sister, Jeanne (Dale) Wood, sister-in-law, Adah Wagner. The family will have a private service at a later date at Rousculp Church of Christ. In lieu of flowers, donations can be made to the Rousculp Church of Christ, 890 Amherst Rd., Lima, OH 45806.